Chiropractic for neck pain is a very popular complementary therapy option embraced by countless millions of people worldwide. Chiropractic is synonymous with neck pain and is known to be a highly effective treatment for a variety of diagnosed dorsopathy issues. Chiropractic manipulation can be accomplished in many ways and individual chiropractors may each have specialty modalities of care to offer. It is always crucial to match each patient’s needs to a doctor who fits them as far as philosophy, methods of treatment and overall demeanor. I used chiropractic as my main back pain therapy for the 18 years I originally suffered from lumbar pain and at least once in the years since my recurrence of symptoms. I have been treated by dozens of different chiropractors around the world over decades of time. This narrative explores the use of chiropractic manipulation as a dedicated neck pain therapy option. Chiropractic is a healing art which can mean different things to different practitioners. Most chiropractors adhere to the idea that the spine needs to be balanced and in ideal alignment in order to preserve good health. Interruptions in spinal alignment are caused by subluxations of individual vertebrae, as well as other more obvious diagnosed issues, such as abnormal curvatures, straightenings, disc pathologies and misalignments. In addition to treating the spine using manipulations called adjustments, chiropractors may offer other specialized services including spinal decompression, nutritional counseling, acupuncture, massage, trigger point therapy, reiki, Rolfing, Alexander therapy and mindbody treatments. In general, most chiropractors provide holistic care and propagate a healthy lifestyle to their patients. Cervical adjustments may be performed face up or face down on the table. Some are even performed while the patient lies in a fetal position on their side. Many chiropractors prefer to adjust the neck while the patient is seated. 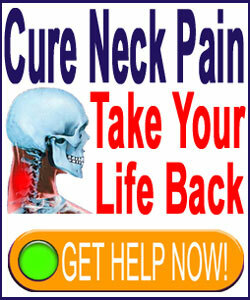 Neck stretching and extension may be performed manually by the chiropractor. Cox technique is one method of providing decompression using the most basic modalities of care. 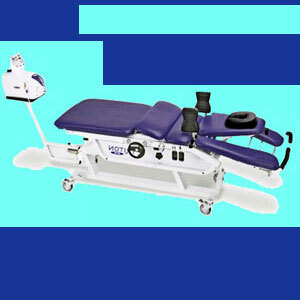 Modern spinal decompression systems, such as the DRX9000C, AccuSpina or Antalgic Trak may be used for some particular disc and bone issues. Patients may be offered nutritional supplements geared towards making their spines healthier. Patients may be instructed on special exercises to be done at home to supplement traditional treatment. I am lucky to count many chiropractors as good friends. We actually have some of the very best in the world, right here, acting as dedicated authors and editors for The Cure Back Pain Network. I like many things about chiropractic, but I am also a critic of just as many aspects of care. The things I love include: the holistic philosophy, the effectiveness, the hands-on approach to personalized care, the lack of dependency on pharmaceutical treatment and the tendency to avoid all things surgical. The things which do not thrill me include the generally symptomatic nature of many care practices, the tendency of some doctors to treat anything (even without knowledge of how to do it) and the need to continue care in order to maintain effectiveness. So, if you are interested in trying chiropractic for neck pain treatment, I suggest you talk to a few local caregivers and interview them to gauge what you can expect from their services. There is no need to make a hasty decision here. After all, it is your health we are discussing. Any doctor who pressures you into an immediate or long-term commitment should obviously be discarded from the considered prospects. Take your time and find a great chiropractor. You will be glad you did. Read more about a focused chiropractic specialty called NUCCA and how these doctors work exclusivity on the upper cervical vertebral alignment to resolve a wide assortment of problematic health conditions.